"Cascina delle Rose is located in the Rio Sordo Valley in Barbaresco. 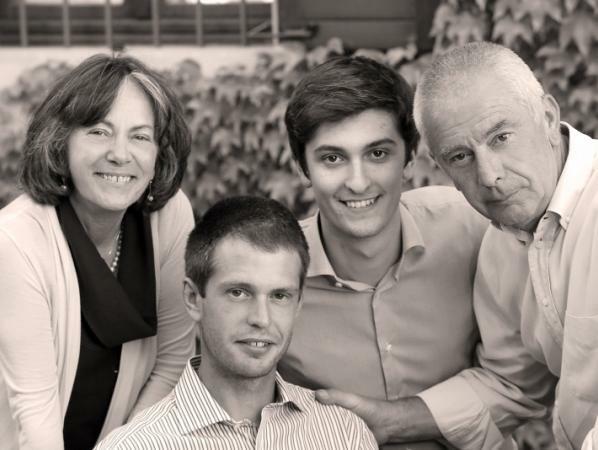 This 3 hectare estate is run by Giovanna Rizzolio and Italo Sobrino and their sons, Riccardo and Davide. As its name suggests, roses are indeed omnipresent on the farm and in the vineyards. It has been a family run business since 1948, but they only bottled and sold under the Casina delle Rose label after Giovanna took over in 1992. They practice organic viticulture. Their small production focuses on Barbaresco from both the clay soils of the vineyard Rio Sordo, and also from the calcareous soils of the Tre Stelle vineyard. These steep hillside vineyards are all worked by hand, grapes are harvest, de-stemmed, and fermented with natural yeasts. They are then aged for 24-30 months in large, old botti grandi. When tasting these wines, the most remarkable thing is their elegance, grace and perfume. Barbaresco is supposed to be the more elegant and feminine expression of Nebbiolo compared with its sibling to the south, Barolo, and indeed these wines deliver. The textures are more reminiscent of a top Chambolle of the likes of Ghislane-Barthod or Fred Mugnier, yet the aromas are pure Nebbiolo in spades! Aromatic with dried cherries, rose petals, autumn leaves and licorice. And while approachable in their youth, these Barbareschi are by no means wimpy. They have the depth and classic structure of traditional Piedmontese Nebbiolo, and should continue to evolve for 15-20 years." Wine Spectator 94"Complex and enticing aromas and flavors of macerated cherry, licorice, sandalwood, cigar box and tar are the hallmarks of this Barbaresco. Dense and firm for now, but this should develop nicely over the next decade."